For use with Dividable Grid Containers. 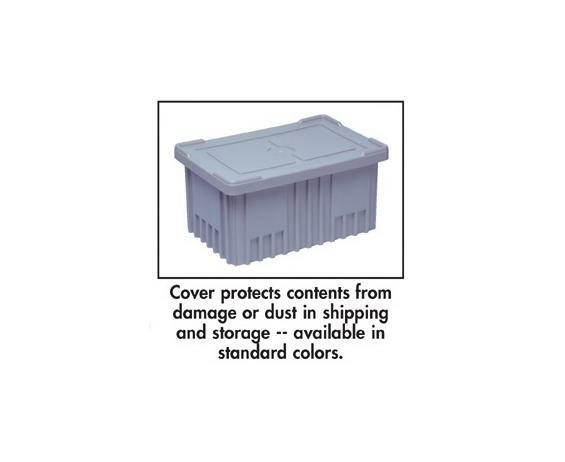 Cover protects contents from damage or dust in shipping and storage. 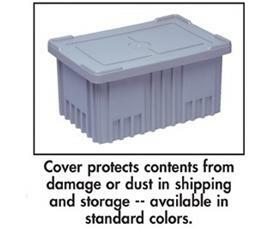 Containers will stack securely with or without covers. Available in Blue, Red, Gray or Clear. FOB Shipping Point. 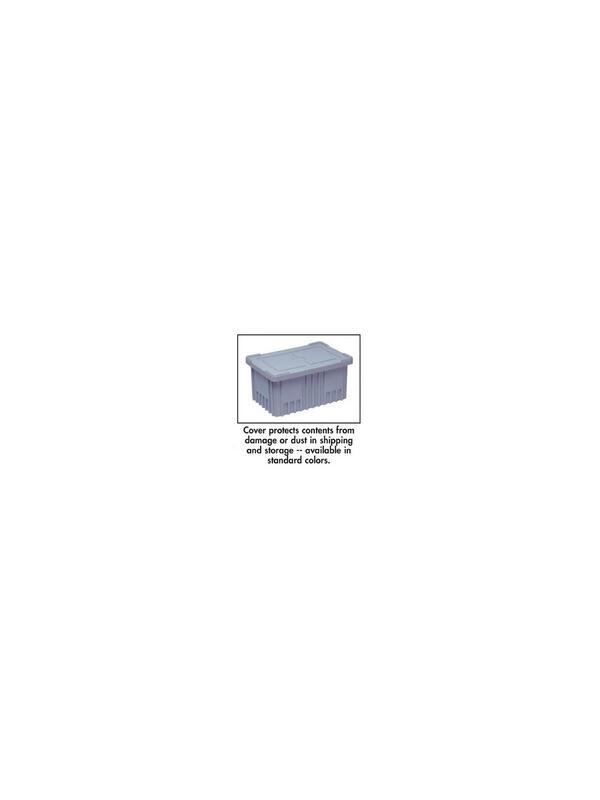 See Related Items tab for Dividers for Dividable Grid Containers, Dividable Grid Containers and Card Holders for Dividable Grid Container.